Background: Anthrax is a highly fatal but vaccine preventable zoonotic disease caused by Bacillus anthracis. It manifests in three forms namely; cutaneous, gastrointestinal and pulmonary. In November 2011, following the death of nine livestock and two persons in a single outbreak in Sheema district of western Uganda, a multi- disciplinary “One Health” investigation team was constituted to determine the magnitude, source, cause and financial loss of the outbreak. We also assessed the district response capacity. Results: Among the three farms affected, 8/295 cows, 1/90 goats and 2/5 persons died of anthrax, giving a case fatality rate of 2.7%, 1.11% and 40% respectively. Of the five human cases, two died of pulmonary complications. None of the animals had been vaccinated against anthrax. Laboratory samples were positive for B. Anthracis. A total financial loss estimated at 2.2billion Uganda Shillings ($885,000) was incurred by the district from low livestock sales in the month following the outbreak. The district had only one ill-equipped veterinarian instead of the three required and 2/5 (40%) of the required outbreak response team. Conclusion: An outbreak due to B.anthracis with pulmonary complications, significant fatality and high financial loss occurred in a poorly resourced district of western Uganda. The source of this outbreak was an infected cow from a neighbouring district mingling with unvaccinated cattle followed by improper handling of carcasses by farm workers. Government should ensure an integrated country wide anthrax vaccination to prevent the disease amongst the animals and reduce human exposures. Adequate tracking of infected animals across the district boundaries should be encouraged. The ministry of agriculture should educate farmers and enforce proper handling of animal carcasses. Background: Mass gatherings present high risk environments for public health hazards. There is no surveillance system for mass gatherings in Uganda. Uganda Martyrs’ Day is an annual religious celebration with an estimated attendance of up to two million people in an area of less than a square kilometer. In 2011, the day coincided with an Ebola outbreak in the country. We set out to pilot a syndromic surveillance system for mass gatherings to facilitate rapid detection of and response to public health events. Methods: We based on the WHO and National Integrated Disease Surveillance guidelines to develop surveillance form to collect demographic and clinical data from emergency medical posts within the venue. We conducted a pre and post event record review on patient load and drug consumption pattern in surrounding health units and pharmacies. Data was analysed in SPSS to identify common symptoms, syndromes and potential health hazards. Results: We developed and implemented a surveillance system tracking patients presenting with symptoms and emergency syndromes. Nearby clinics and pharmacies indicated low patient turn-up on Martyrs’ day compared to the days before and after the event. Seven Ebola alert cases were identified and investigated. The commonest complaints among the 390 patients captured by the surveillance system were headache (187) fever (99) and abdominal pain (89). Of the estimated two million attendees of the event, there were three syncopal attacks and no death. Notable challenges to implementation of the system were overcrowding, limiting access to medical posts, poor human resource planning, lack of zoning and track ways as well as difficulty in estimating the population. Conclusion: A useful surveillance system for mass gathering was developed which helped to rapidly detect and investigate potential infectious illnesses and hazards. The system should be used at future mass gatherings with adequate pre event resource planning. Background: In situations where large numbers of people are gathered in a single place, exposure to environmental hazards is inevitable. Such hazards include inadequate and /or poor sanitary conditions, contaminated water and food. Every 3rd of June, an estimated 2-3 million people gather in a restricted area of a peri-urban town in Uganda for annual religious pilgrimage. Because of the overwhelmingly large number of people, water and sanitary facilities may not be adequate. Furthermore, safe food handling procedures including animal slaughtering and meat inspection may not be followed. This study sought to assess environmental conditions, the safety of water and food consumed and to determine the potential risk of zoonoses transmission during the 2011 event. Methods: A cross-sectional study was undertaken at Namugongo pilgrimage site, Uganda, where a pre-tested semi-structured questionnaire was administered to 297 consenting pilgrims to collect data on sources and quality of drinking water, usage and types of sanitary facilities, and solid waste disposal. Four key informant interviews were conducted to obtain data on availability of drinking water, sanitary facilities and the safety of meat. Checklists were used to assess the physical state of sanitary facilities, water quality, food vendors’ history of medical certification, and food handling procedures. Water and food samples were sent to laboratory for safety analysis. For potential zoonotic disease transmission exposure, data was obtained by observation of the practices of meat handlers and pilgrims during the preparation and consumption of meat. Qualitative data was analyzed manually using a master sheet where frequencies of responses were tallied according to themes. Univariate analysis of quantitative data was done using SPSS version 17.0. Triangulation was performed to validate findings. Results: Available sanitary facilities for the estimated 2-3 million people were 22 stances of pit latrines and 29 stances of water closets, giving access rate of 2-3 toilet stances per 100,000 persons (51 /2 M). Of the 297 pilgrims interviewed, 11.2% practiced open defecation at the bush around the pond, 31% drank pond water and 24% bottled water. The pond water had a coliform (Escherichia coli) count of 20 c.f.u per 100ml and 26% of the respondents perceived it safe for consumption. On solid waste disposal 43.4% of the respondents disposed solid waste indiscriminately in the compound. Of the 37 food vendors 97.2% had not been medically certified to handle food. However, the food was not contaminated. Meat which was being sold to consumers had not been inspected. Meat handlers were indiscriminately mixing uncooked and cooked meat at the point of sale. In addition, 11/20 (55%) of the meat vendors visited sold undercooked meat to pilgrims for consumption. Conclusion: The grossly insufficient sanitary facilities and consumption of contaminated pond water exposed the pilgrims to potential water borne diseases. Also there was high exposure to the possibility of zoonotic disease transmission through uninspected and improperly cooked meat. Adequate mobile toilets should be provided at similar mass gatherings. Open defecation should be prohibited and the pond water preserved as holy but be purified. Government should ensure proper inspection of meat, certification of food handlers and adequate health education at such mass gatherings. Background: Anthrax remains common in Asia and Africa with cutaneous anthrax the most common form (about 90%) in humans. In late November 2011, an anthrax outbreak was reported in Kakamega East District, Kenya. We carried out a study to describe the outbreak, assess the outbreak response and determine community knowledge, attitudes and practices on anthrax using the One Health approach. Methods: A cross sectional study was conducted to describe the outbreak. 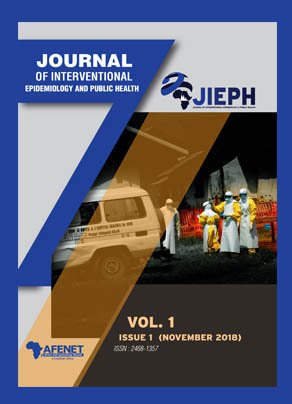 Key informant interviews were used to assess the outbreak response while participatory rural appraisal (PRA) approaches were applied to determine community knowledge, attitudes and practices on anthrax. The study population was all persons who handled/consumed meat of the carcass of the infected animal. A suspected case was any person with a typical skin lesion after exposure to infected animal in Kakamega East District. An interviewer-administered questionnaire was used to collect data for the cross sectional study. Interviewer guides were used for key informant interviews and for PRA. Results: Of 40 respondents, 65% were female. Median age was 32 years (range: 2 years to 88 years) and were from one sub- location. Sixteen (40%) were suspected case-patients while 24 (60%) were asymptomatic. The outbreak response was coordinated by the District Health Management Team and did not include the District Veterinary Office. The response of the outbreak did not include rapid dissemination of advice to clinicians on detection and treatment. All the laboratory specimens were collected after administration of antibiotics. While anthrax was recognized as an important zoonotic disease by the community, there was low awareness about its presentation. Conclusion: There was lack of collaboration between the animal and human health professionals in the anthrax outbreak response. Community awareness on anthrax was low. There is need for community health education on anthrax and other zoonoses and systematic collaboration between human and animal health sectors during anthrax response. Background: Surveillance for zoonoses in abattoirs is essential in public health because it facilitates early detection, monitoring and control of diseases at human- animal interface. Systematic inspection of animals at pre and post slaughter can provide critical data for animal diseases of public health and food safety importance. The abattoir surveillance system is part of the general disease surveillance system of the Department of Veterinary Services and includes private and public slaughter houses. Since the adoption of the 1975 meat control act, zoonoses surveillance in abattoirs has remained rudimentary in Kenya. We carried out an evaluation to describe the Western province abattoir surveillance system, assess the system’s attributes, determine if it is meeting set objectives and design a standard surveillance system for zoonoses in abattoirs. Methods: We interviewed key stakeholders including meat inspectors, provincial and district veterinary officers using an interview guide. Surveillance documents at the veterinary office and data collection processes at representative abattoirs were assessed with an observational checklist. Surveillance dataset for 2010 was reviewed and analyzed by person, place and time. Qualitative and quantitative system attributes were assessed using CDC updated guidelines for public health surveillance system evaluation. 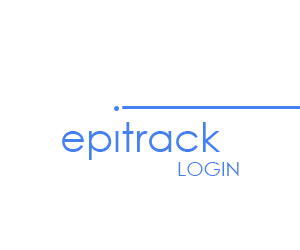 A simple data collection tool, data flow algorithm and data analysis plan was designed. Results: There were no standard reporting tools and case definitions. Data collection, storage and transmission were manual. Standard operating procedures on meat inspection and data management were not available. Routine information sharing with public health authorities was not done. Laboratory services to support the surveillance system were lacking in the province. Of the 27 districts, the annual completeness of reports was 100% but only one district reported on time. The duration of delay in monthly report submission ranged between 18.7- 37.3 days with a mean of 28.7 days . All reports had essential data required but 20% were unduely repetitive. Cattle constituted 66% of animals slaughtered while 5% were pigs. Female animals constituted 48% of slaughtered animals; 17% of the females were reported pregnant. Three- quarters of whole carcass condemnations were cattle; dropsy contributed 55% while cadaver was 36%. Two thirds of organs condemned were liver; mostly due to liver flukes (76%) and hydatid cysts (16%). Conclusion: The abattoir surveillance system in Western province is not up to standard. Though it is simple and representative, timeliness, data quality and information sharing are unsatisfactory thereby limiting its usefulness. Laboratory diagnosis to compliment the surveillance system is lacking. Provision of standardized surveillance tools and resources combined with laboratory support and animal-human health authorities information sharing will enhance the usefulness of the system. Between 19 June and 3 July 2011, a total of 45 deaths and 155 injuries due to lightning strikes were reported in Ugandan media. The pattern of injuries and deaths was not clear but the distribution was countrywide. Information on the peculiarities of the geographical areas, communities and persons affected was scanty. We therefore investigated and conducted a community assessment to characterize the distribution and magnitude of the lightning strikes; identify associated risk factors, beliefs and practices, as well as to assess the impact of lightning strikes on affected communities. This provided evidence to inform public health action and interventions. Methods: A lightning-strike case was a person admitting a history of exposure to lightning strike with or without visible injury or a person said to have died following exposure to lightning strikes in the selected Ugandan districts during June and July 2011. Eight districts were purposively selected based on number of reported lightning-strike injuries or deaths. We reviewed line-lists and records, interviewed key informants at district/community health units, administration units, schools, and traditional healing homes and conducted active community case-search. Structured questionnaire was administered to case-patients to obtain data on demographics, known risk factors, knowledge, beliefs and practices related to lightning strikes, outcomes and impact of lightning strikes. For the minors, unconscious and the deceased, their caretakers were interviewed. Focus group discussions, direct observations with observational checklist, and environment assessment were conducted to obtain in-depth information and lightning-related environmental data. The study population were the communities affected by lightning strikes. Quantitative data was entered into Epi-Info version 3.3.2 soft ware and then exported into SPSS Version 18 for univariate analysis. Qualitative data was analysed using manifest content analysis technique. Triangulation was performed to further validate data and information on lightning-strike. Results: Most (80%) of the places that experienced severe lightning strikes were at a relatively higher altitude than the surrounding places and had little or no tree cover. Almost all these places (39/40) did not have lighting arresters or electricity. Risk factors included rainwater harvesting and sheltering under trees during thunderstorms. The majority of casualties (67%) were bare-footed and 78% of the affected were primary school pupils. These lightning episodes caused 32 deaths in nine districts, various physical injuries and induced anxiety in the population, with a resultant decrease in attendance at school and other social events. The affected communities suffered economically through destruction of property, death of live stock, hospital and burial expenditure. Peculiar cultural traditional practices included smearing the victims with human faeces as treatment and taking all property from the affected households. Conclusion: Lightning strikes were widely distributed in the country, affecting areas where there were no lightning arresters. Incidence of lightning strikes in the community was high with associated high case fatality rate. Individual risk factors included bare footedness, sheltering under trees and rain water harvesting. The knowledge about lightning is generally poor and there are high risk practices. The socio economic and public health impacts of these strikes were paramount. Ministries of Education, Health and Works should promote community awareness on the risks associated with lightning and enforce installation of lightning arresters in all buildings. School uniforms should include shoes with rubber soles as part of policy. Children should stay indoors during rainstorms.